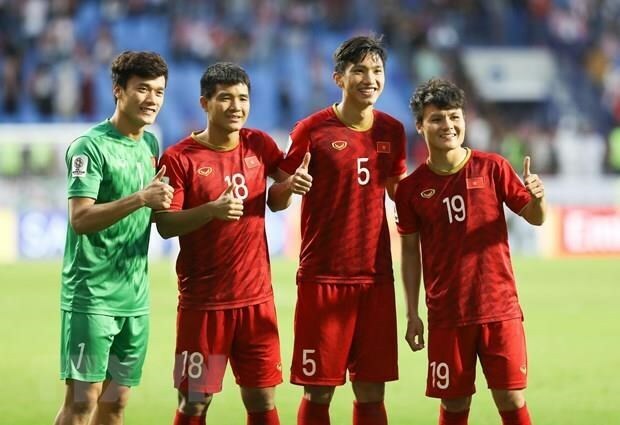 Hanoi (VNA) – Vietnam’s head coach Park Hang-seo has selected 23 players for the 2020 Asian Football Confederation (AFC) U23 Championship qualification’s Group K.
The Korean coach picked four strikers, seven midfielders, nine defenders and three goalkeepers. Among them, forward Ha Duc Chinh of SHB Da Nang is the most internationally experienced while his younger teammate Tran Danh Trung, 19, from Hue FC is the newest one. He just completed at the ASEAN U22 Championship earlier this month and scored three goals for Vietnam who finished third. Midfielder Nguyen Quang Hai of Hanoi FC was named the team’s captain. Defender Tran Dinh Trong is the only player in the team lacking fitness, but his leg injury has been recovering well. Group K includes Brunei, Indonesia, Thailand and Vietnam. The matches will take place at Hanoi-based My Dinh National Stadium. Vietnam will face Brunei on March 22, Indonesia on March 24 and Thailand on March 26. All the matches of Group K will be broadcast live nationwide.